Adjudicative Guideline H: Drug Involvement is one of the 13 adjudicative criteria which could lead to the denial or revocation of a security clearance. Drug involvement includes the abuse of illicit and legal drugs. However, a review of security clearance cases demonstrates that marijuana continues to be a concern for many applicants. New state laws, public opinion, and attitudes may make it tempting for Americans to casually use marijuana and other drugs. Recently Colorado and other states have ‘legalized’ the use of marijuana and some states also allow the use of medical marijuana. Where national security is concerned, marijuana and the abuse of legal and illicit drugs for any reason is cause for denial of a security clearance. An applicant was denied a clearance for marijuana as a source of “self-medication”. Applicant experienced back pain for a significant length of time and prescribed himself the benefit of marijuana to ease the pain. However, this marijuana use came to light due to an on-the-job injury and the subsequent drug test. Once busted, he went to rehab and discontinued the use. He argues that he has mitigated his earlier use with proof of rehabilitation, abstinence, and disassociation with drug-using individuals. Applicant stated that his marijuana use was part of his culture, even though he had been in possession of a security clearance. The applicant stated that he had decided to discontinue the use of marijuana as a personal choice and should be granted the clearance. The applicant stated that the judge should understand that though he thought he had the right to use the drug, he had decided to abstain as a deliberate effort to serve the United States. The judge disagreed, and his clearance was revoked. An applicant falsified a National Agency Questionnaire when he understated the full extent of his drug use, purchases, and sales. He falsely stated his infrequent use of marijuana only to state over the course of several interviews that he had indeed used marijuana more frequently and over a longer period of time. It wasn’t until a later interview that the applicant stated he used marijuana monthly over a period of years and up until a few days prior to his final interview. His rationale was that he did not disclose his more extensive drug because he felt they were much less significant than his other past issues. Additional considerations included use of mind altering mushrooms and the sale and purchase of drugs. The security clearance was denied. 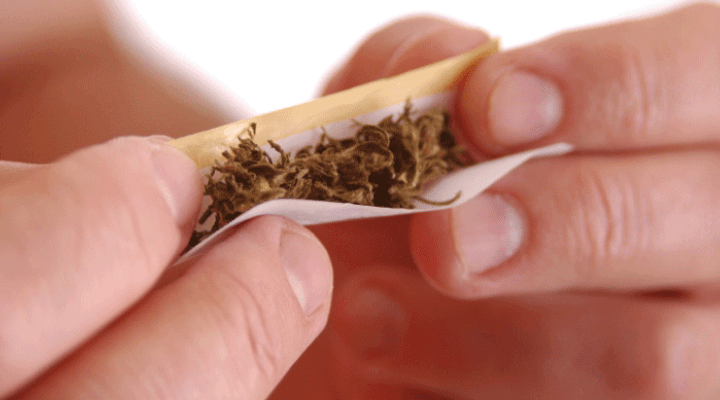 Applicant used marijuana for a period of more than 30 years. He also used cocaine once in his past. He continued to use marijuana well into his work as a cleared defense contractor and stated that he would probably use it again. He has also admitted to purchasing marijuana, but had not used in six months. The judge denied the clearance and concluded that his continuing drug abuse is clearly of present security significance. An applicant continued to use marijuana over an extended period of his adult life. He used the drug repeatedly and did so by stating that he ignored the fact that it was indeed illegal. Not only had he ignore the fact that marijuana was illegal and that use would disqualify him for national security jobs, but he was uncertain about future use, although he hadn’t used in the past two years. Because of his long history of marijuana use, and occasional hallucinogenic mushroom consumption, it was impossible for the judge to think his last statement to be credible. As far as mitigating the risk under Guideline H, the record is silent. He has not demonstrated the good judgment, reliability and trustworthiness required of those requesting access to the nation’s secrets. The judge concluded that the applicant cannot be considered trustworthy. An applicant used cocaine on a number of occasions and four additional times ten years later. However, three years have passed since his last use. He states that he will never use cocaine again. Since his abstinence, he has received many recommendations from supervisors, co-workers, and friends who know him well and have vouched for his reliability, integrity, and honesty. He had received counseling for his drug use and has otherwise sufficiently demonstrated that the drug use was indeed in the past and that he would never use again. His security clearance was granted. There are many reasons for drug use include cultural acceptance, lack of respect of regulations, youthful indiscretion and self-prescribed pain relief. Those who have been denied security clearances exhibit poor self-control, lack of good judgement, or just show lack of willingness to follow to rules and regulations. Drug involvement can raise questions about loyalty, reliability, and ability to protect classified information. Drug Use and Your Clearance: How Recent is Too Recent?